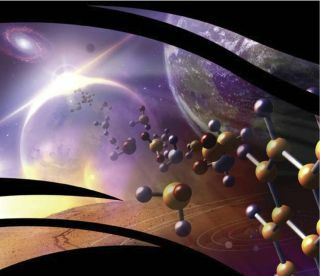 NASA's Astrobiology Institute has selected three teams for five-year grants to be used in studying life in the universe. The NASA Astrobiology Institute (NAI) has awarded five-year grants to three research teams who will hunt for life in the universe. "Is there life on Mars?" David Bowie's famous line lies at the center of modern astrobiology research. In an initiative to investigate the possibility of life in the cosmos, not just on Mars, interdisciplinary teams chosen by NASA will each receive approximately $8 million and five years to complete their work. Green said he is confident that these teams will "provide the critical interdisciplinary expertise needed to help interpret data from these missions and future astrobiology-focused missions." Hailing from Rutgers University in New Brunswick, New Jersey, the ENIGMA team, led by Paul Falkowski, a professor in the Department of Marine and Coastal Sciences, will investigate how proteins once evolved to spark the first life on Earth. This team will study prebiotic molecules and enzymes common with number of microbial species to accomplish this immense task. Led by Kate Freeman, a professor in the Department of Geosciences at the College of Earth and Mineral Sciences at Pennsylvania State University (PSU), ACIR — a team from PSU, University Park— will study the origins of organic compounds using both observational and computational resources in its research. The research team at JPL will address potential habitable environments and signs of life on Titan, Saturn's largest moon. Led by Rosaly Lopes, a Manager for Planetary Science and Senior Research Scientist at JPL, the team will use data from the Cassini-Huygens mission. "We are delighted to welcome these three new NAI teams into the institute family and look forward to the important work that they will accomplish over the time of their awards," said NAI Director Penelope Boston in the statement. The discovery of extraterrestrial life would forever change our relationship with the universe. These grants will play a critical role in searching for answers to the fundamental questions of life's origins, NASA officials said in the statement.